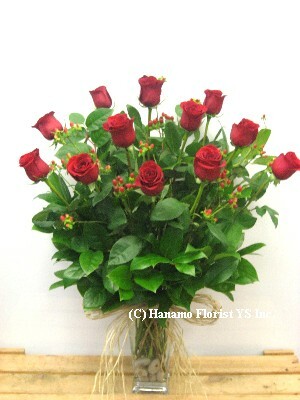 ROSE004 I doz Premium Long Stem Red Rose in Vase [ROSE004] - $95.00 : Hanamo Florist Online Store, Vancouver, BC, Canada, Quality arrangements using a plethora of the freshest flowers. Premium long stem rose, original lengeth of 70 to 80cm before arranged, has elegant dark red large head,No baby breath is used for the fillers, using much better fillers are chosen always. 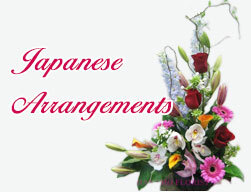 (Note : This price not valid for Valentine's weeks : February 11~14 ). Also the difference from most of other florists is the quality glass vase and river stone.